13.) Where Will I Go? The latest full-length from Chicago’s new school power-punk outfit JuiceheaD debuts three all-new studio tracks—and the band’s first-ever live release in one high-octane package! 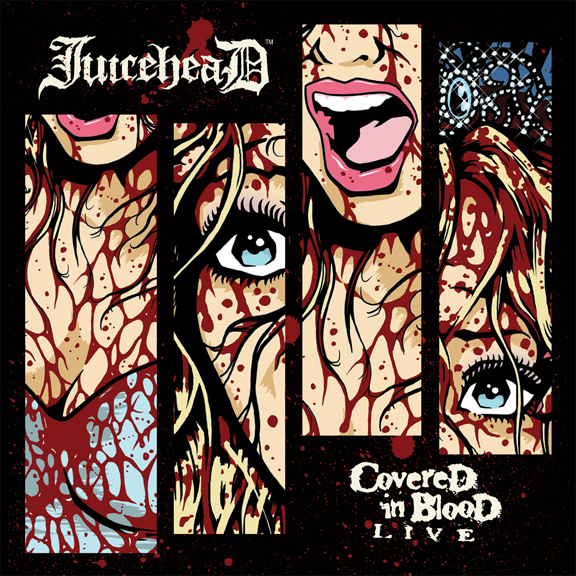 Includes a newly recorded studio redux version of all-time fan favorite “Covered in Blood” Produced by John Cafiero (Misfits Ramones, Osaka Popstar). Also features two sweltering live covers (Billy Bragg’s classic “To Have and to Have Not” and Operation Ivy’s “Knowledge”), encompassed within a stripped-down, super-charged live set of favorites from JuiceheaD’s studio catalog. Followers of the band and newcomers alike will be launched into ear bleeding abandon by the buzz-saw guitar/vocals of JuiceheaD frontman Rob Vannice. Wrapped in eye-popping, jaw-dropping packaging featuring artwork by Texas rock illustrator Billy Perkins (Cheap Trick, Arc Angels, Crazy 4 Cult). Misfits Records unleashes 14 never before released tracks in one blood splattered sitting! Get “Covered in Blood Live”—on CD or digital download.